Ok folks nothing like some good friendly competition to bring you some really great music and a guaranteed fun time. This Thursday May 21 kicks off the first round of Battle Of The Blogs sponsored by Heyday Entertainment and five of Philly’s favorite music bloggers, Girl About Town, The Broken Bell, Popwreckoning, Teenage Kicks, and yours truly, Bag Of Songs. 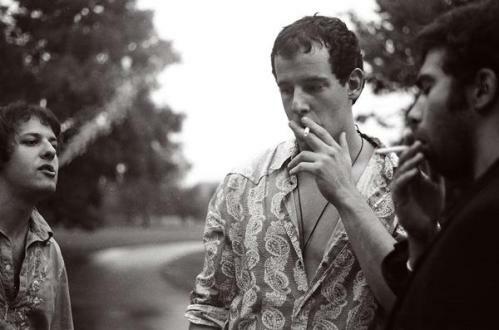 It’s sort of a battle of the bands and blogs all rolled into one. 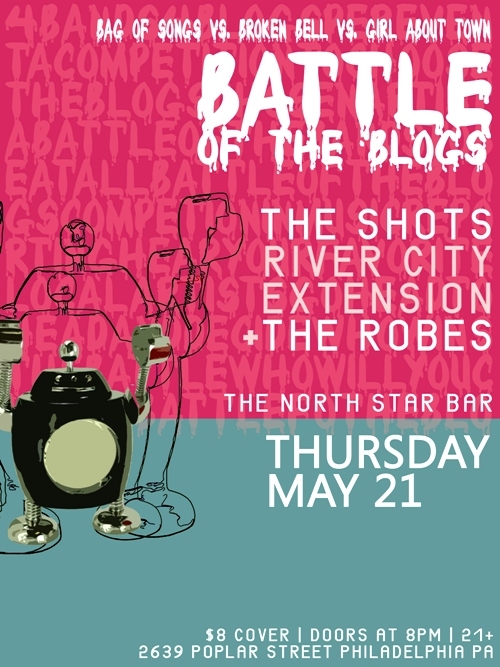 One Thursday each month in May, June, and July each blog will showcase their selection of bands with the winning bands/blogs competing in a finals on a Saturday night in August, all at the North Star Bar. August will be the three winning bands/blogs from each of the nights as voted by the attendees each night. For this week’s show I will be bringing you The Shots, while The Broken Bell will have River City Extension and Girl About Town will present Robes. I’ve talked up The Shots before but I’ll do it again. Anchored by the guitar virtuosity of Alex Blyksun and the rock solid solid bass playing of Colt Morris, they dig deep into the bluesy soul of rock and roll for a live sound that’s can best be described as part ’69 era Led Zeppelin, part Oasis, and part Live At Leeds era The Who. 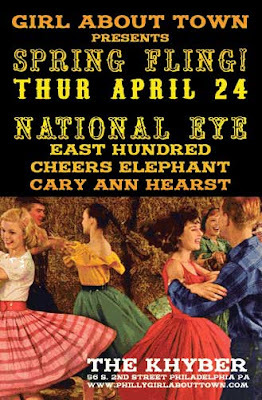 If you’ve seen them recently you know how good they are, if you haven’t, be sure to get on down the North Star this Thursday and witness it first hand. Here’s a few songs to give a taste of what they’re all about, but trust me when I say these don’t really do justice to the raw power of their live show. 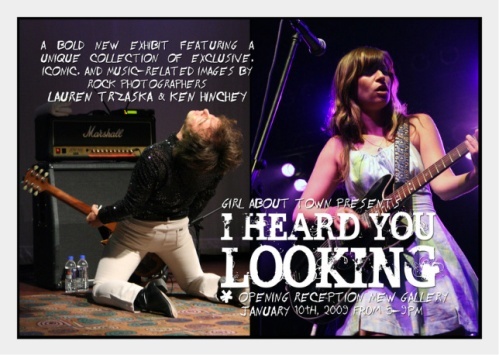 Come on out this Saturday January 10 to Mew Gallery in Philadelphia for the opening reception of “I Heard You Looking” an exhibit of rock photography by Ken Hinchey and Lauren Trzaska presented by my friends over at Girl About Town If you can’t make it Saturday be sure not to miss it, it’s only there until February 20th. 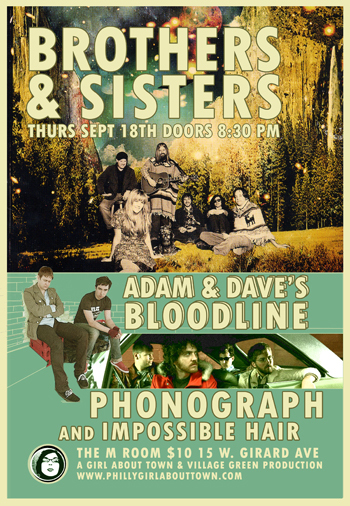 Looking for something to do this Thursday, come hang out with my friends from Girl About Town at the M Room as they have put together an excellent night of music to kick off the back to school season in style, featuring Austin TX’s Brothers And Sisters, Philly’s own Adam & Dave’s Bloodline,New York’s Phonograph and Baltimore’s Impossible Hair. It’s going to rock for sure. I’ll be there. TONIGHT ! Come rock out at The Khyber in Philadelphia with my friends from Girl About Town and a great lineup of bands. It’s where all the cool kids will be.